We started out the month with a quick trip to Tennessee. Ryan had a local work conference that was going to keep him away from the house morning until night, so the kids and I packed up and hit the road. We were under tornado watch while there so we hunkered down, got some Armandos and played a fun round of Mexican Train. 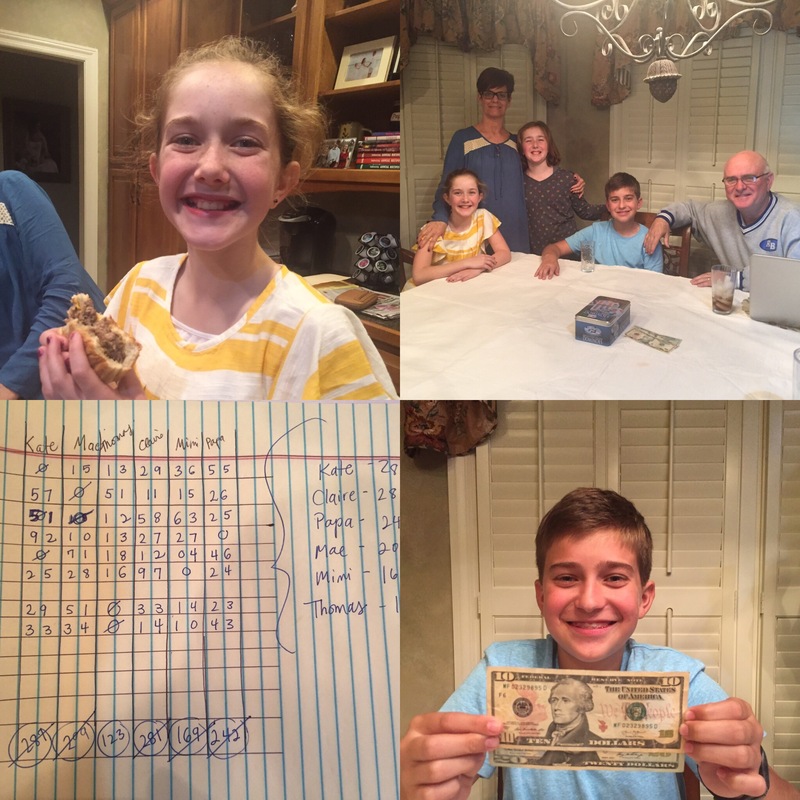 We wagered a little $$ this time and Thomas came out the victor. 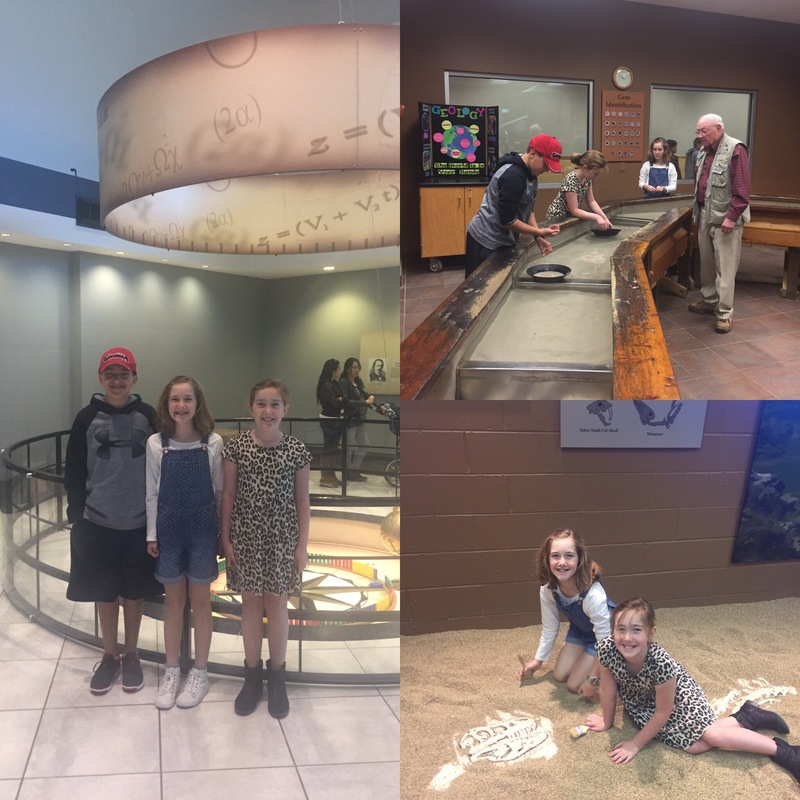 On our way back to Augusta, we decided to hit up the Tellus Museum one more time. It was just as fun this time as it was the first. From there, we timed it to meet my sister and her kids for lunch. 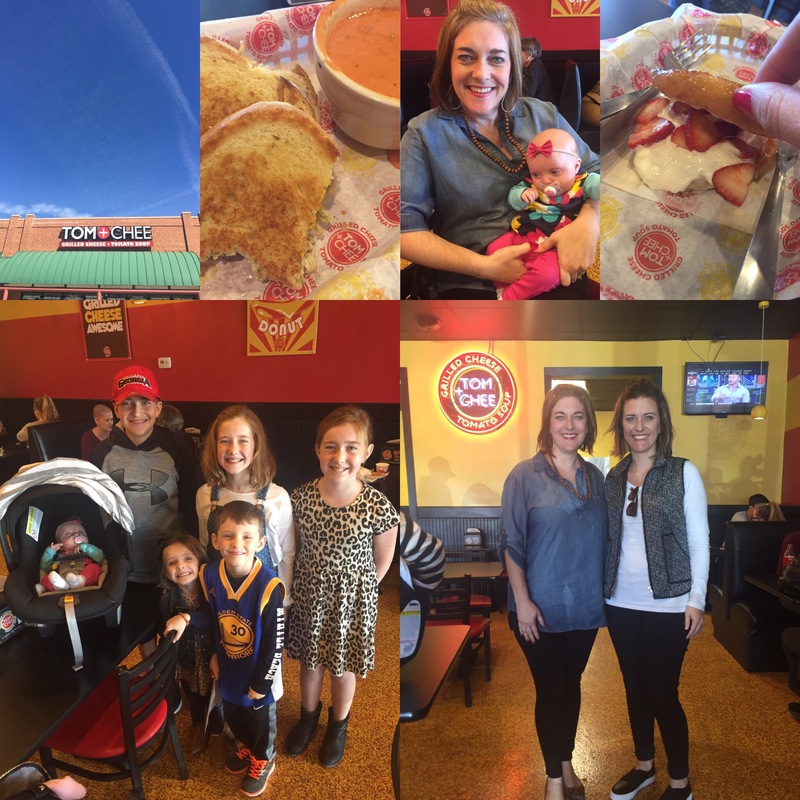 We tried Tom+Chee for the first time. The food was good but the company was even better. March has been nothing if not a month of PURGING! Our move is just around the corner. I have sold and donated and thrown away a lot of things. Furniture pieces that won’t make the move, kids’ toys, and homeschool stuff; it has all been organized and put in order. Our local homeschool community puts on a now-annual conference called Take Heart: Finish What You Start to encourage homeschoolers to navigate the transition to homeschooling high schoolers and the bridge to college. I didn’t attend this year, but instead participated as a volunteer and helped with the lunch set-up and serving. After my February debacle with Marley Spoon, they sent me two meals for free and I have to say, they were delicious. We got two, two-person meals, and Ryan and I both enjoyed the food. Flavors were good and instructions were easy. 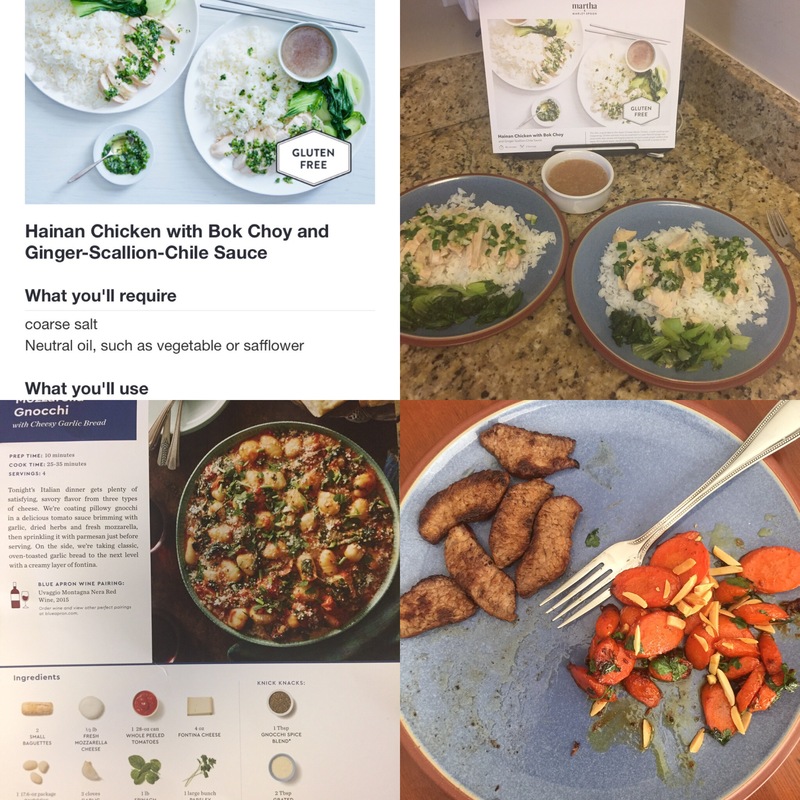 I was so inspired that I also tried Blue Apron and ordered the family size meals. They were good but our picky kids weren’t overly thrilled. All in all, it’s a fun treat, but not super cost or time efficient. I think I’ve exhausted my curiosity about these home delivery services. *We have now tried a new food: gnocchi. March has also signaled the beginning of the fishing season for our crew. Ryan has taken out his kayak a few times, took Thomas and Kate on separate fishing outings, and the kids have been wearing out the neighborhood pond with their buddies. The kids and I discovered a WONDERFUL podcast called Brains ON! which is put on by Minnesota Public Radio. 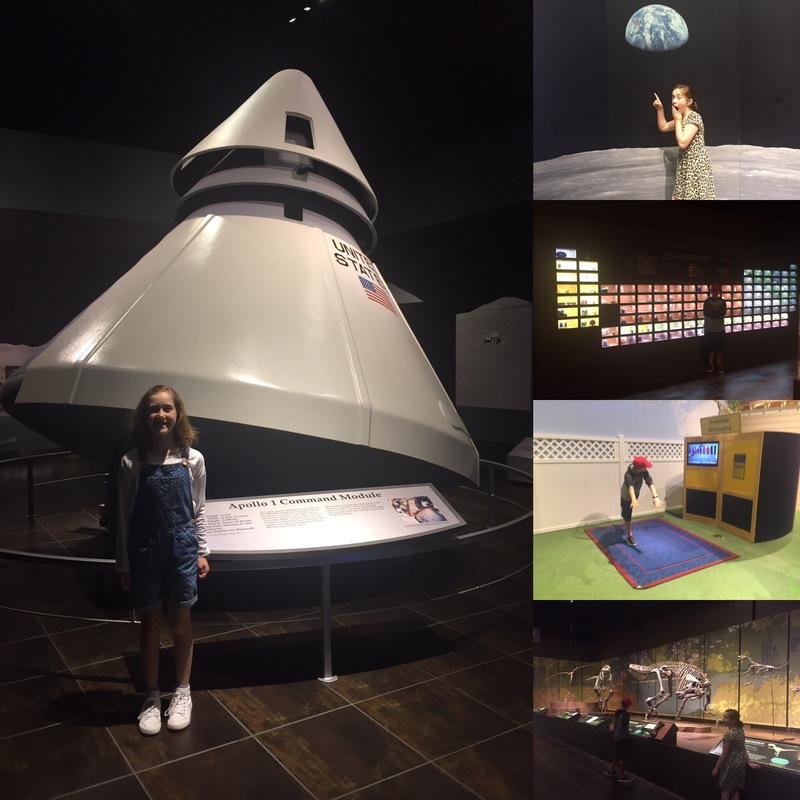 There are some amazing, funny, scientific episodes that are deeply thoughtful, well-researched, but highly entertaining for kids and adults who love science. We pretty much listen anytime we pile into the car. We learned about the phenomenon of Dimorphous Expressions or Cute Aggression. Super interesting. 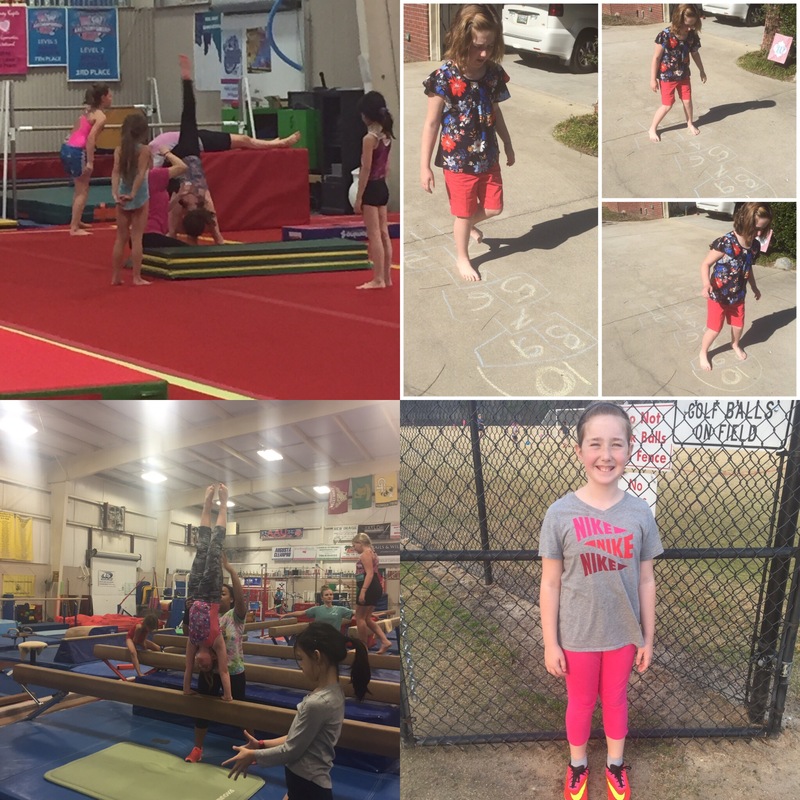 Kate has stayed busy this month as she has continued on with her gymnastics. In fact, she used some of her own allowance money she’s been saving (and some of her money from selling off toys!) to purchase her own practice balance beam for the house. 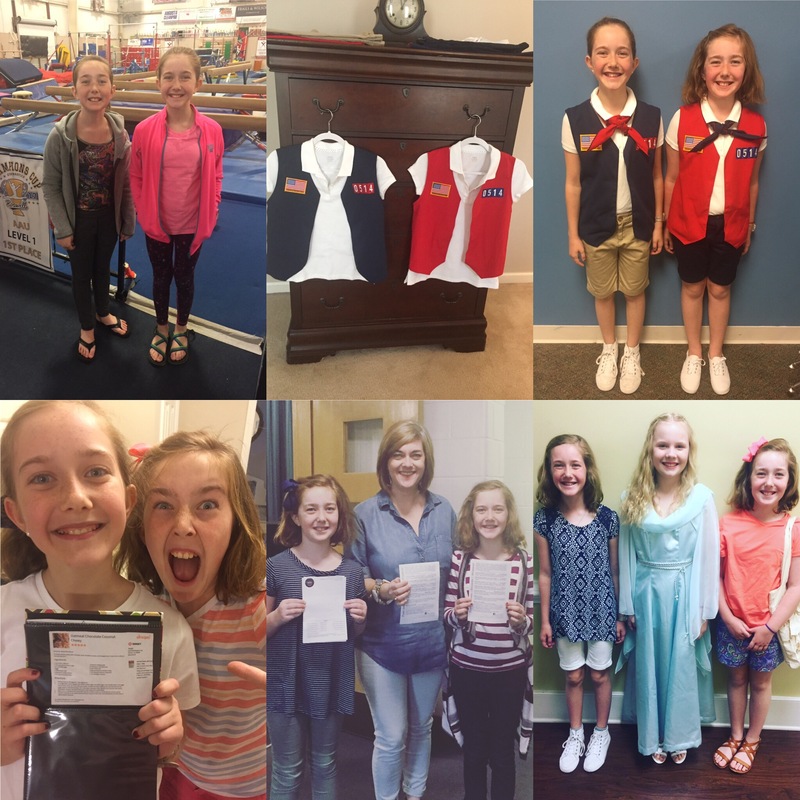 She has also been working on some of her American Heritage Girls badges and has completed her Joining Award, Ancestor Detector, and Sign Language badges. She’s also been my faithful walking buddy during Mae’s soccer practices. I walk and she practices her cartwheels! Thomas had a big moment when he finally used his debit card for his first purchase: he bought a cover for his CamelBak at R.E.I. in Atlanta. He was so proud. He and his partner Emma have been learning the Twist and working toward their final spring formal where they will showcase all of their social dances. Mae has been BUSY earning her cooking badge for AHG. 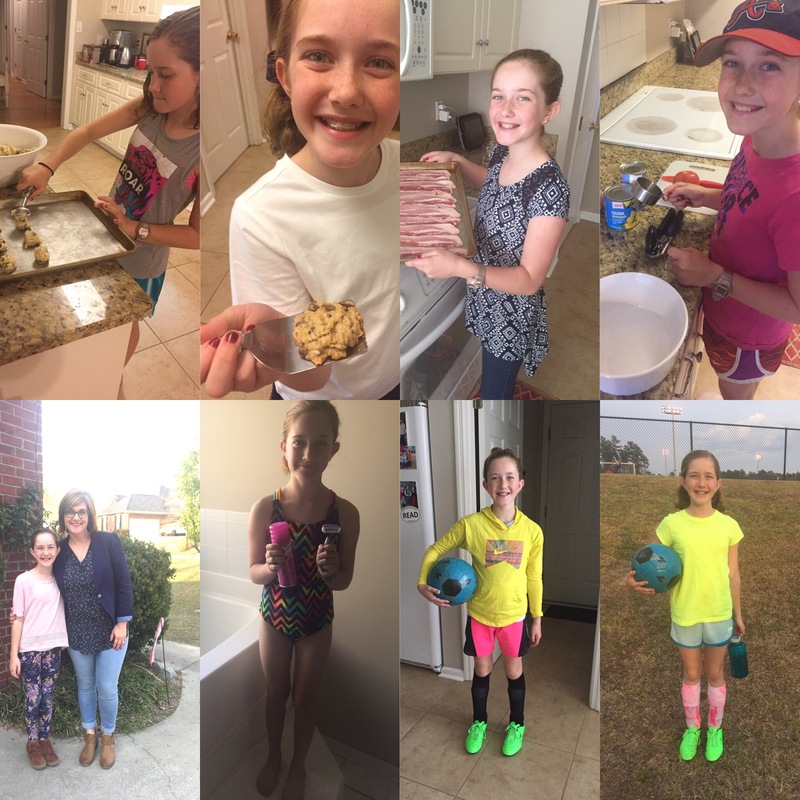 Seriously, for about a week it felt like Mae was cooking and baking more than me! Her soccer season is about to start so she has been having practice almost every weekday night. We also had a fun mother-daughter outing for some big-girl/tween stuff. She’s shaving her legs now! The sisters in the house have had some fun! Mae and Kate went to an “open-gym” night at Kate’s gymnastics center. They were there until almost 11:00 pm on a Friday night. Ryan and I decided we are too old to stay out and up that late! What on Earth will be do when these three are teenagers and driving and staying out late? American Heritage Girls has really gotten cranked up in full force. We are having regular weekly meetings, have issued out uniforms, and badge work is underway. I am the leader for the oldest girls (Pioneers/Patriots) and have had fun getting to know these gals. The girls helped me as a greeter at chapel and recently enjoyed an afternoon watching their friend Ella present her Face of History project at her Classical Conversations group. 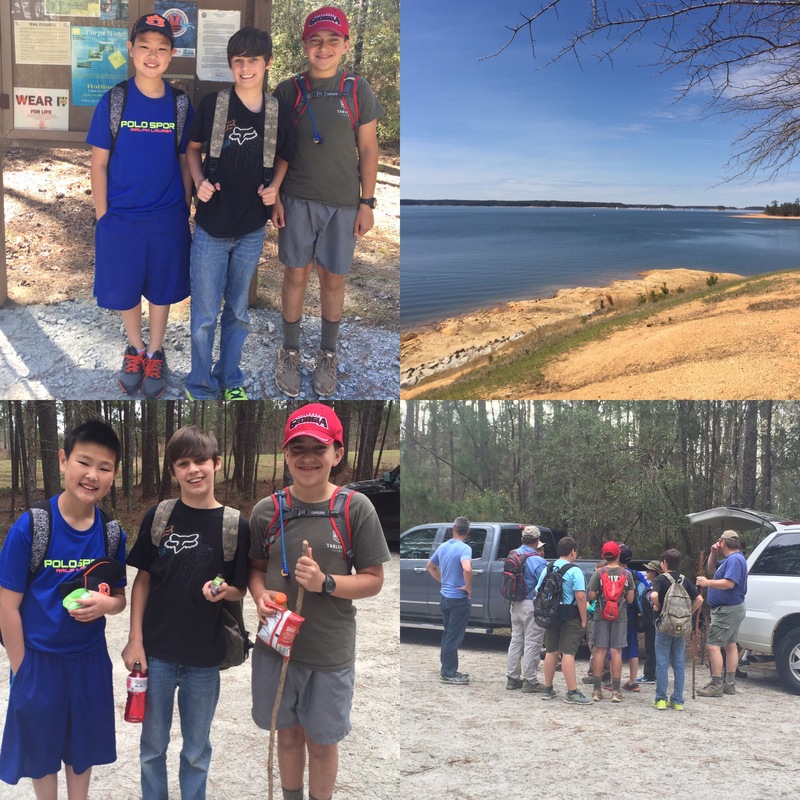 Thomas’s Trail Life group is working up to their long, strenuous hike at summer camp. In March they completed a four-mile trail hike. Next month they will do a six-miler. 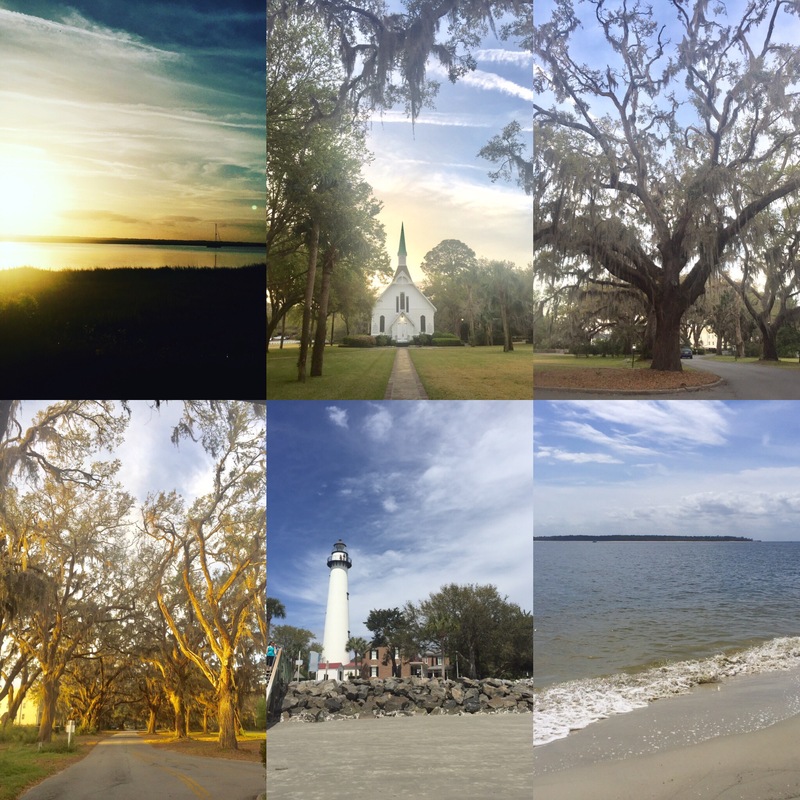 It was a beautiful day out at the lake and on the Bartram Trail. 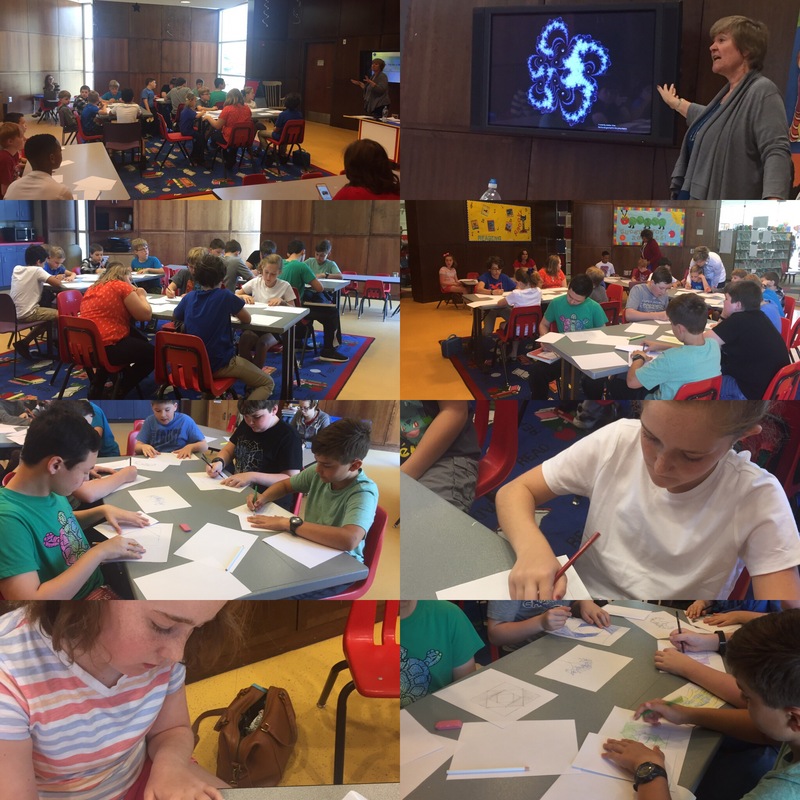 One of our homeschool highlights would have to be the Fractals presentation we went to at the local library. The NSA puts on regular seminars for homeschool kids and this was super informative and interesting. We hosted some friends for dinner and fellowship and our homemade ice cream maker made it’s maiden appearance this season. I made strawberry and it was yummy! 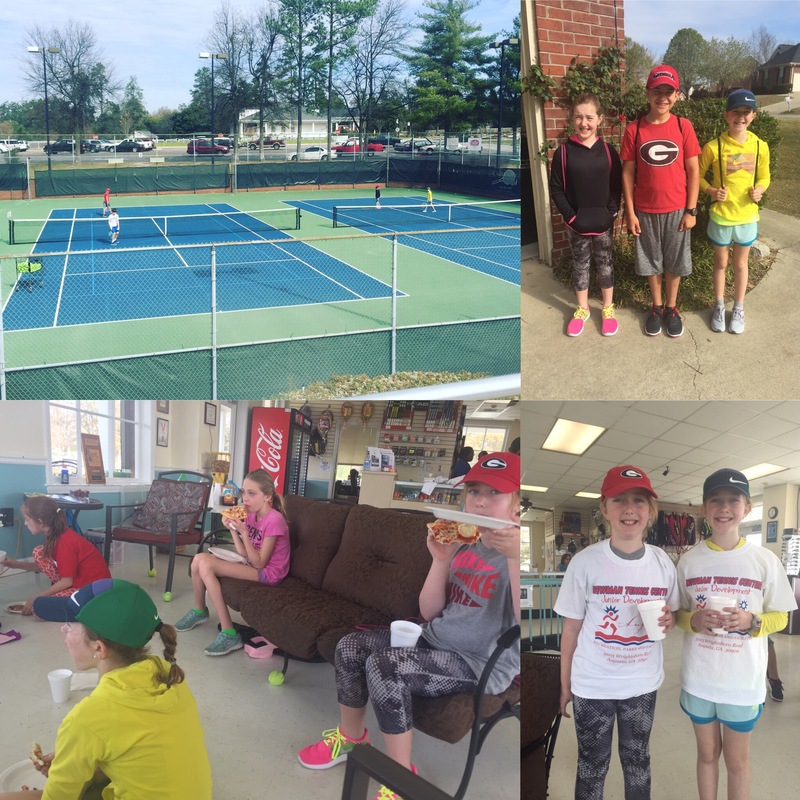 The kids participated in a homeschool tennis clinic. We hope to make this a weekly event after spring break. 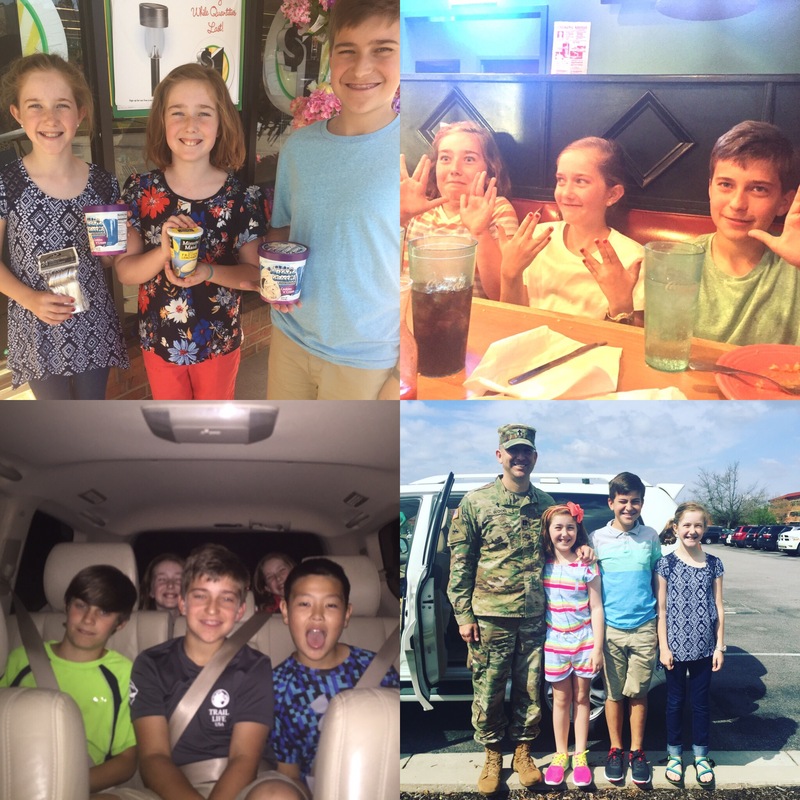 We have had some fun outings as a family this month! There really is something special in the air once the time changes. There’s a brightness and lightness that settles in. I love it! One of my main goals this year is to feed my family well and nourish our bodies with healthful, natural foods. This has been an ongoing, long process but after gradually bumping up our grocery budget, I have bought (almost) exclusively organic and all natural foods all month. I’m talking everything! 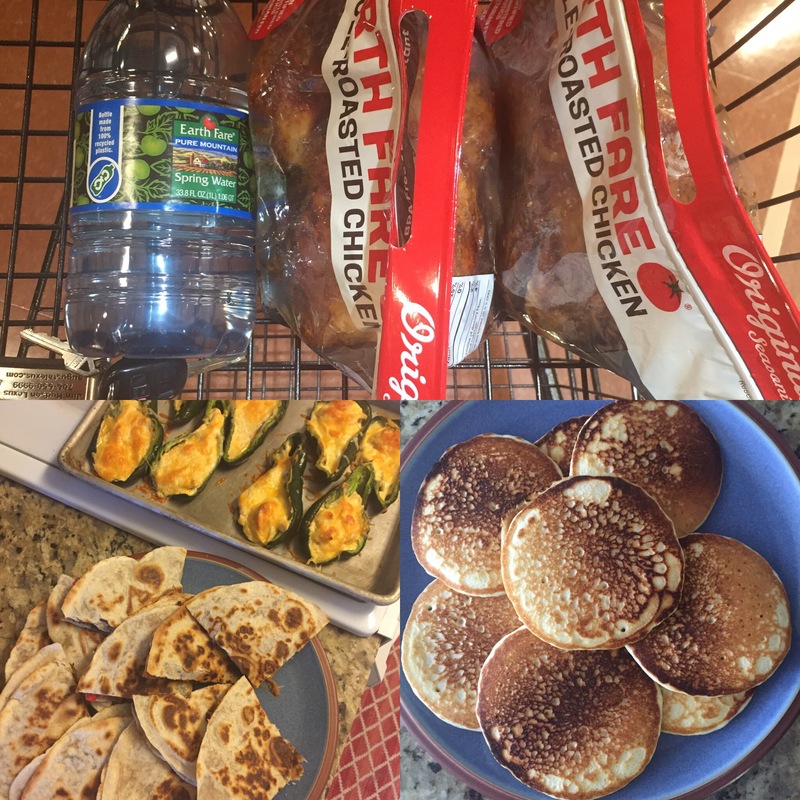 I’ve been having a weekly trip to EarthFare and filling in with the Simple Truth brand from Kroger and a few things from Publix. This is expensive, time consuming, and did I mention expensive? I’ll admit I have had seasons where convenience won out, but as we set aside a lot of peripheral things in our life to focus on what is most important, putting good things in our bodies (as much as we can) is taking priority. 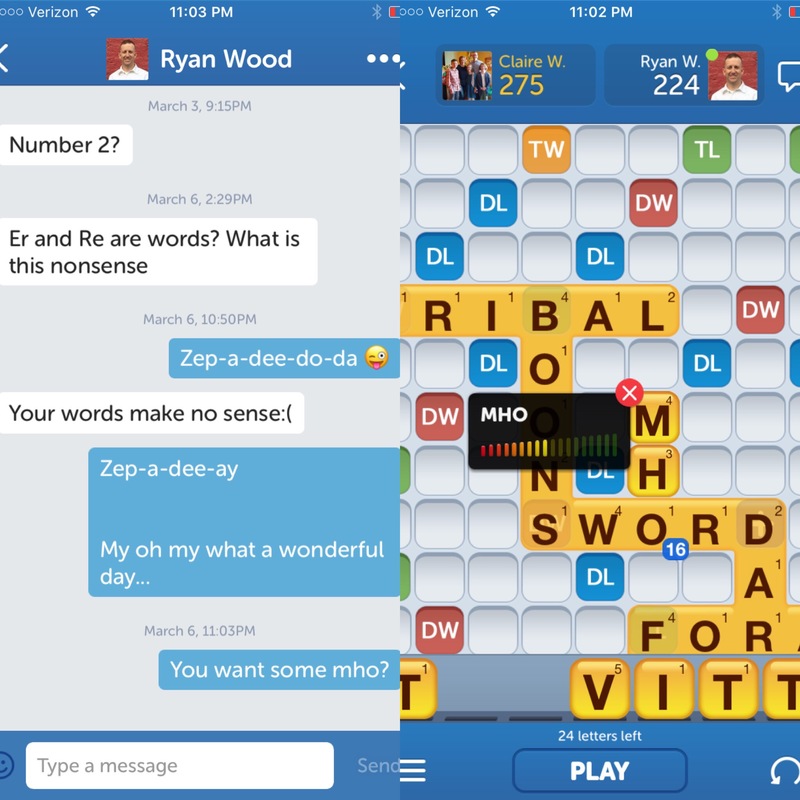 The downside is that our kids are opinionated. And those $10 organic hot dogs from EarthFare don’t taste as good as the $4 Oscar Meyer hotdogs. (Ditto for nearly ever other healthy substitution I’ve made!) I guess it is all about balance, but I do know that we’ve got to do better around here. I’ve purged and tidied the pantry. 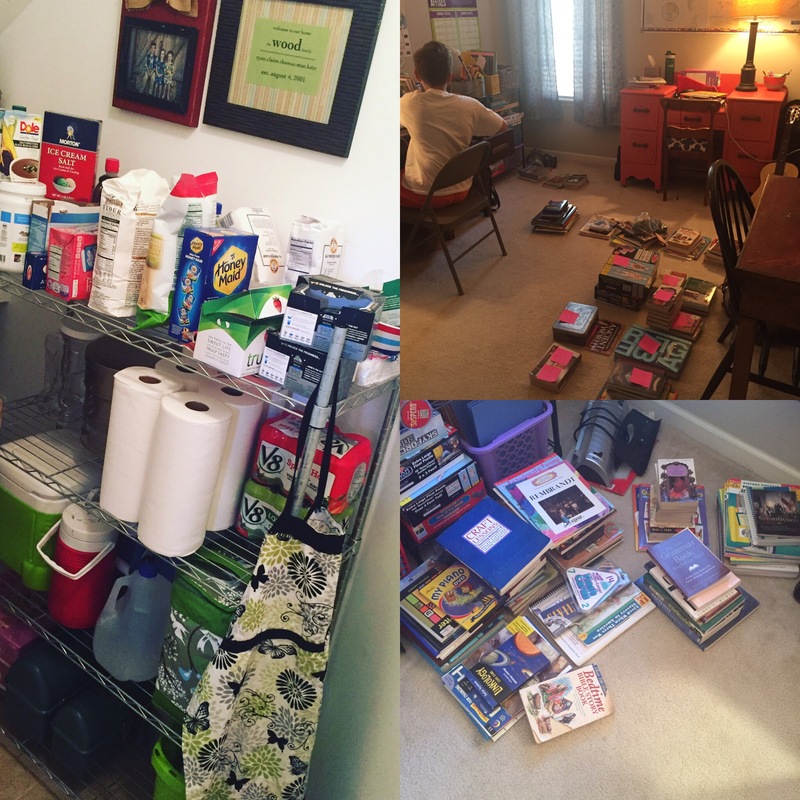 The homeschool room is a work in progress. We are finishing up our final quarter, preparing for next year, and saying goodbye to many resources we have outgrown. That is a happy and sad thought to me. 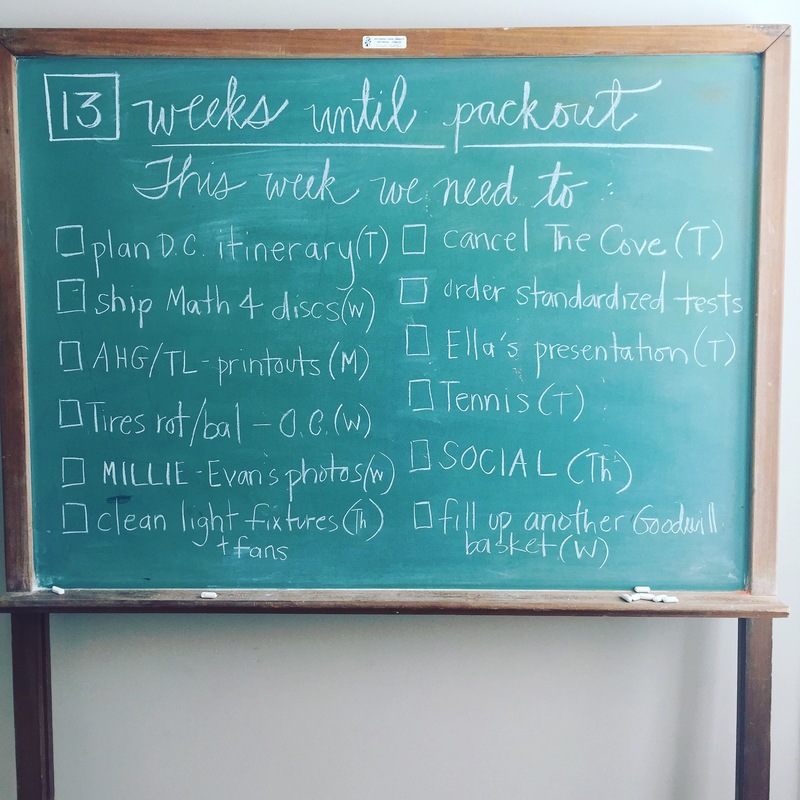 I won’t get into it fully, but one of the most difficult aspects of moving isn’t the exhaustion of physically moving, shifting, and organizing. The difficult part is addressing your emotions that you tie to your things. We can’t just stuff things in an attic or basement indefinitely. We are forced to touch those things, think on those things and make a decision to keep them, store them, sell or give them away. Every item you have must be assessed for it’s value of whether or not it will make each move, fit into each new house, and is “worth” moving all over the country again and again. 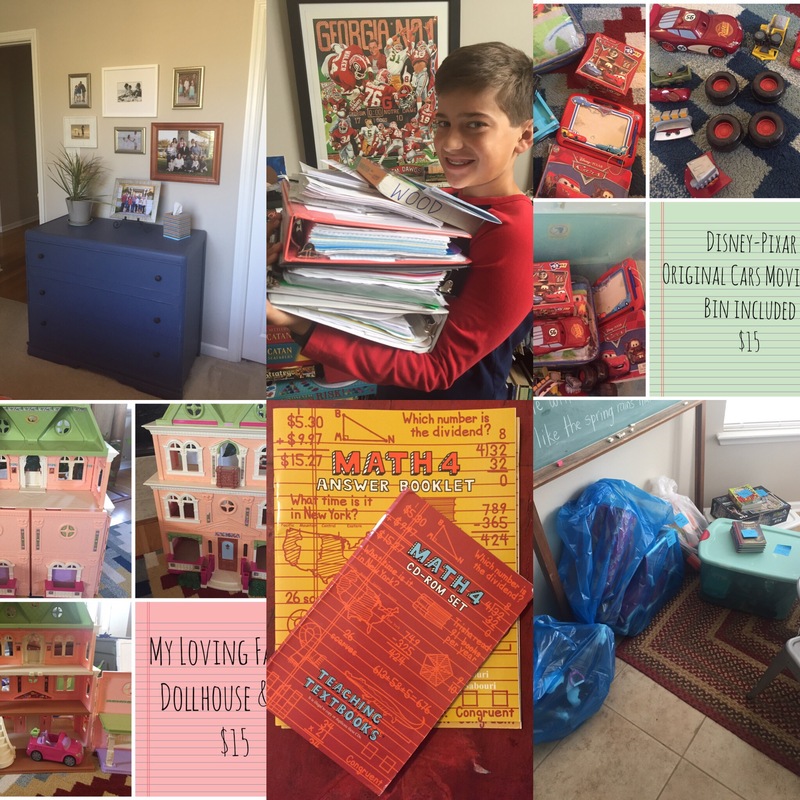 This move has been tough because so much of the kids things (toys and homeschool items) are tangible proof that they are growing up. We can’t keep every toy or book they’ve ever had. It is an emotional moment when you give up the Cars from the Cars movie that your little toddling Thomas played with from ages 2-5. It’s emotional to say goodbye to the dollhouse your girls loved, the math games and science puzzles you have played and made memories with. Letting go of such items is a sure sign that those little kid moments have passed us by. As The Minimalists say, “Love people, use things. The opposite never works.” I have to keep reminding myself that it’s the people in this house and the memories we share that trump any physical item. 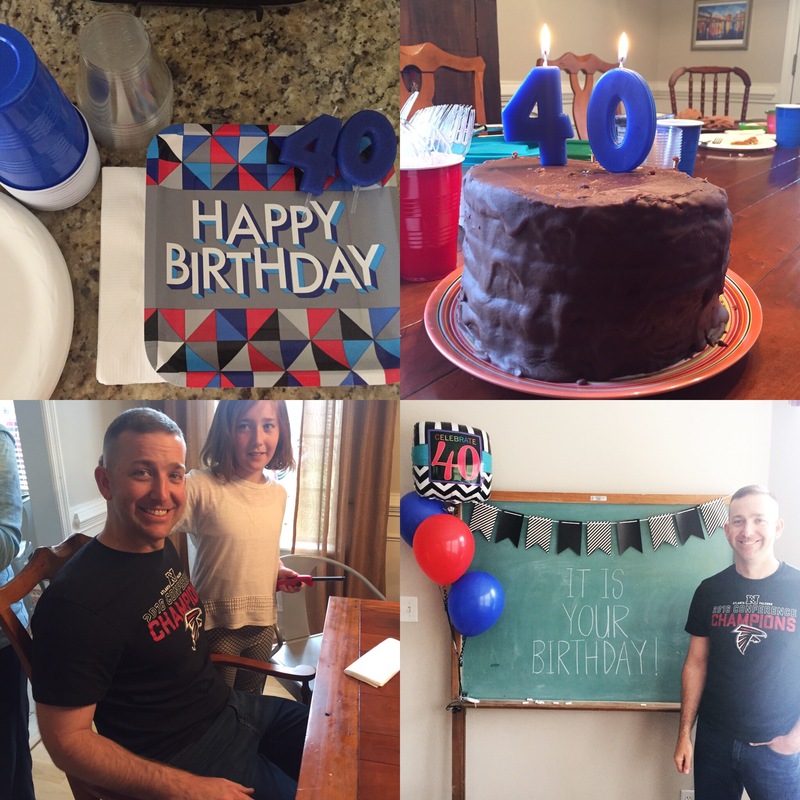 Probably the biggest celebration of March was Ryan turning 40!!! We celebrated all weekend long! His folks came into town on Thursday and we had a fun dinner out at Bollwevil. =) Becky, Mae, Kate, and I went to see Beauty and the Beast. 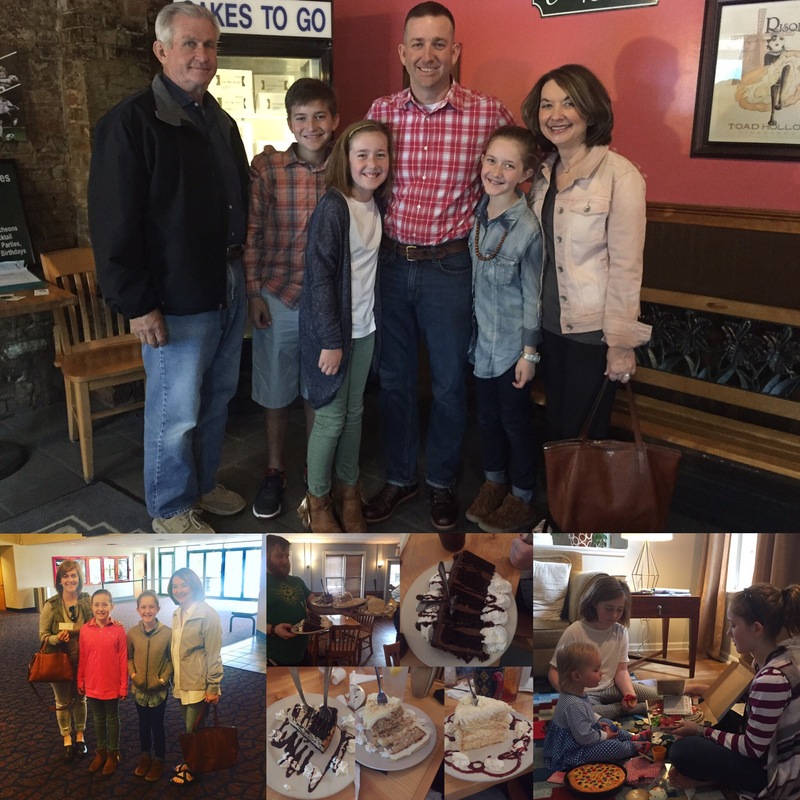 On Saturday, Ryan’s brother and his family came for the day and we celebrated again. Sunday, Ron and Becky joined us for chapel before they went back to TN. And Monday night, the kids and I took Ryan out again for his actual birthday. 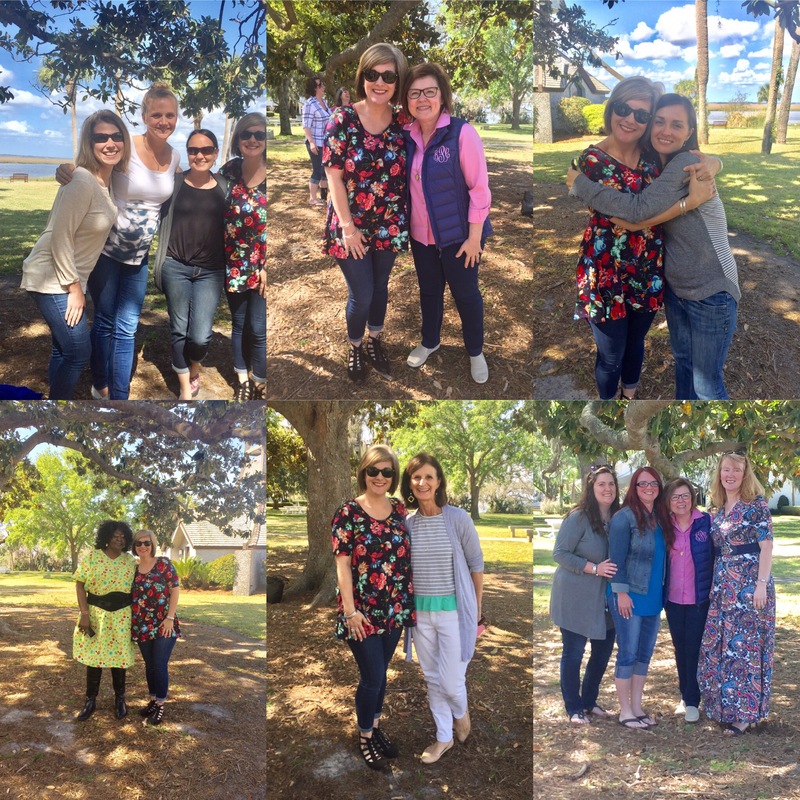 A personal highlight for me was getting to attend the Protestant Women of the Chapel (PWOC) spring retreat at St. Simons. Despite not being active in PWOC this year or last, I have been on this trip before and was grateful that I could go again. The beach + time away + rest + an anointed speaker sharing God’s truth + sincere worship + fellowship with military wives = HAPPY, FILLED UP Claire. Thank you March. You have been full of celebrations and renewal. The time changed. The season changed. Ryan enjoyed a milestone birthday. 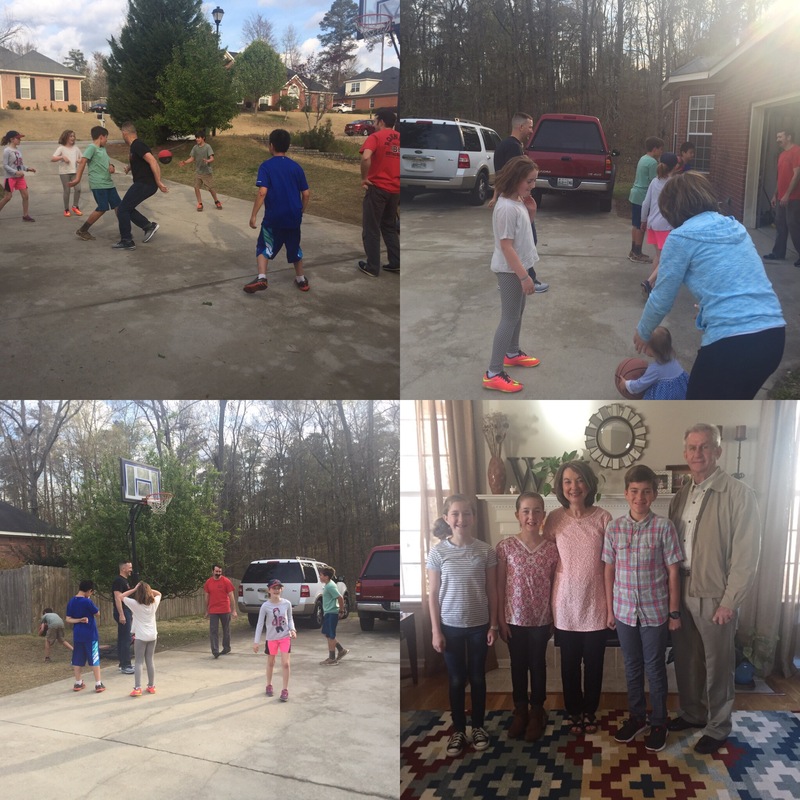 We enjoyed family time and visits. And now, as March transitions to April, it is time to get into full-on PCS mode. We have orders. We have our name on the housing list at Fort Jackson. We have tentative pack out dates. Let the good times roll. Daily watching my backyard trees go from crispy, lifeless brown to verdant, abundantly green beauties. Connecting with some new friends at the PWOC retreat. Getting a chance to share encouraging words with a handful of new homeschool moms. Ryan getting a little “attaboy” that’s work related. Using my good camera for the good of other military families who will one day be assigned to Fort Gordon. Following the humor of Brad’s Wife and being invested in April the Giraffe. Making new bedroom/bedding plans for the kids’ rooms in South Carolina. Getting some new porch pillows and fun lights for our new porches in South Carolina. Falling in love with the written words of Brennan Manning. 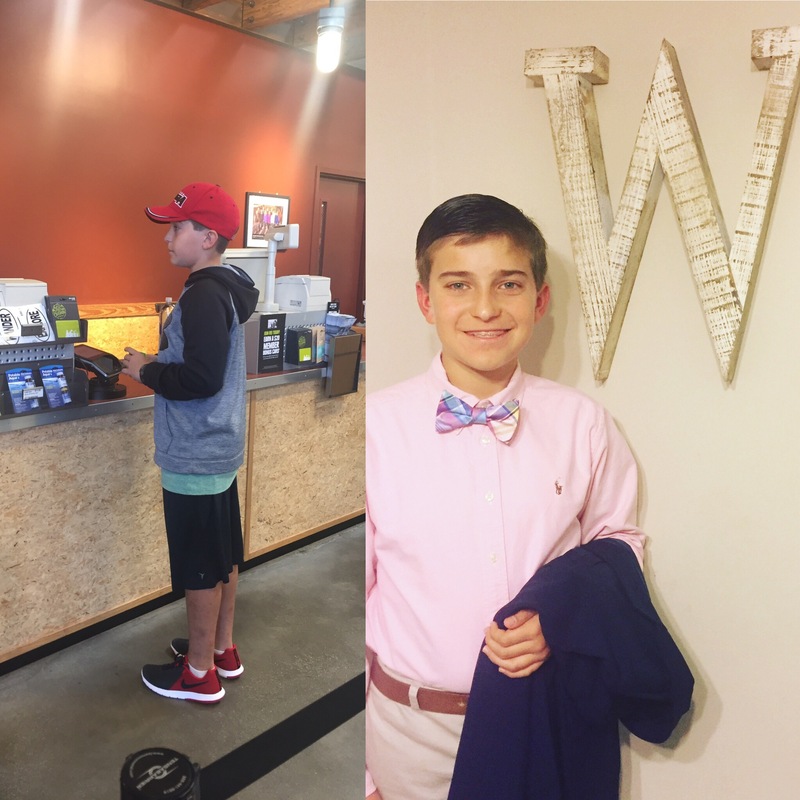 Thomas getting invited to the DUKE TIP summer institutes because of his scores (but preferring to go to Trail Life camp instead). Sleeping in most weekday mornings since the time change: we’ve needed it. Marking off a major maintenance repair on my car. Getting some clarity on our homeschool plans for next year. It’s going to be delightful!